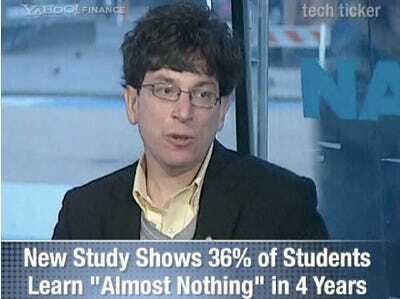 Fund manager and writer James Altucher has been arguing for a while that college is an expensive waste of time. This opinion never fails to enrage folks who have spent hundreds of thousands of dollars and four years on a college education–and they never fail to let James know it. But James’s argument resonates more and more as he refines it, as college costs go through the roof, and as studies appear proving that college students don’t learn anything. Last week, for example, James joined us on Yahoo TechTicker and put forth 8 alternatives that he says are better than college. And he only got one death threat! from now on. Like, “we speak no more…today”.